Are you Facing Divorce in Miami? At Marrero, Chamizo, Marcer Law, LP, our Divorce Lawyers in Miami are here to help you with the difficult decisions and factors of your divorce. Let’s face it, filing for divorce in Miami is never easy. Especially when you have to deal with dividing assets, child custody and establishing a parenting plan. These Divorce Court matters can certainly leave you with a mix of emotions that can affect almost every part of your life and turn your life upside down! That’s why it is so important to have our best Divorce Lawyers in Miami at your side. 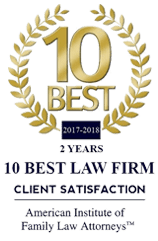 They understand Florida Law and will work hard to protect your rights and to resolve your Complicated Divorce, Child custody disputes, and post-divorce legal matters. When you hire our Divorce Lawyers, you can be sure you’ve got a committed advocate at your side who will assert and guard your legal rights. Let our Divorce Attorney Miami Fl lawyers help you achieve fair results so you can move on with confidence. Why Hire Our Divorce Lawyers in Miami Fl? There are couples in a divorce that will try to resolve their Marital Settlement Agreement without the help of an experienced Divorce Lawyer. Often, these couples walk away from their divorce case with strings still attached. Only an experienced Divorce Lawyer has the legal know-how to make sure your rights are asserted and that your interests is carefully protected. That’s why at Marrero, Chamizo, Marcer Law, LP, our dedicated Divorce Lawyers in Miami Fl have the experience you need on your side to make sure nothing is overlooked in your Florida Divorce proceeding. Divorce Court Miami can easily become a heated place when there are a lot of hard feelings involved. A partner trying to get revenge on the other can draw out the complicated court case process. A spouse who may not want to get a divorce might try to prolong the process in hopes that their partner will change their mind, try saving the marriage, or will agree to go to counseling. Yet, that is rarely the case when one of the partners wants the divorce. Generally, when one partner is trying to keep the divorce from going through it could make things much more complicated and less amicable. Regardless of how a partner allows the divorce process to work, the divorce will eventually go through. Divorces can have factors that highly increase complexity. Assets and property acquired during a marriage typically must be divided equally. When there are high-value assets involved in a divorce, it can make a case more complex if there was no prenuptial agreement in place. Challenging property division issues require a knowledgeable lawyer that is familiar with the intricacies involved. Even when property was acquired before a marriage and may not be affected by the divorce, it is always best to have an Attorney at your side to defend your interest. Depending on the circumstances, only an experienced Divorce Lawyer will truly understand your rights and how to assert them. Other factors that can complicate any Divorce are hidden assets and joint businesses. Sometimes a spouse may accuse the other of having hidden assets which can range from anything like real estate to offshore accounts. A spouse might try proving that the other spouse is not disclosing all their assets and that can prolong when the case canbe finalized. Jointly owned businesses are a common factor that complicates the divorce process. When spouses have worked together to build a business, it takes skill to figure out who gets what. Especially, if one spouse came into the marriage with a business and the other spouse joined as another owner once they were married. In a perfect world, your divorce could be simple and amicable. But more often than not, there are many factors that are at stake that turn it into a complicated divorce court case. With the help of an experienced lawyer at Marrero, Chamizo, Marcer Law, LP, you can better ensure that you move on to the next chapter of your life without feeling disappointed with the outcome of your divorce. Many couples have disagreements even years after their divorce is finalized. When circumstances change and disputes arise after a divorce, the terms of your marrital settlement agreement may not work with present-day reality. In some circumstances, it may be necessary establish a new agreement that is fair and possible under the present conditions. Modifications of orders and agreements may be necessary when change of circumstances involve substantial change in income, job loss, parental relocation for employment, sale of the marital home, resolution of tax issues, Parenting schedules and shared expenses, change in your child’s educational or health care needs, serious illness, and physical or mental disability. At Marrero, Chamizo, Marcer Law, LP, we handle an array of post-divorce disputes and can also assist to enforce a Final judgment and to enforce an order of support, custody, and visitation. Child Custody disputes can be among the most difficult aspect of any divorce case. In a child custody dispute case, a Florida Judge will determine the child’s best interests by reviewing several factors before making a decision. Child custody matters in Miami are governed by the laws of the State of Florida. After applying Florida Law, a Judge will consider each parent’s relationship with the child, their ability to provide a safe and stable environment for the child, their physical and mental health, their fiancial situation, and the child’s emotional and physical needs. In addition, the Judge will consider the child’s bond with siblings or half-siblings and the child’s wishes-if he or she is a certain age and mature. In Child Custody and Child Support cases, the decisions are naturally never easy since the future of the child(ren) is being predetermined. When facing time in Divorce Court Miami, Florida, it is certainly in your best interest to have a legal representative on your side who know the Florida divorce laws and will help to strengthen your case. Our Attorneys are ready to start working for you. Contact us Today! We offer over 30 years of legal experience. We work hard for positive results. We’ve effectively settled thousands of cases.